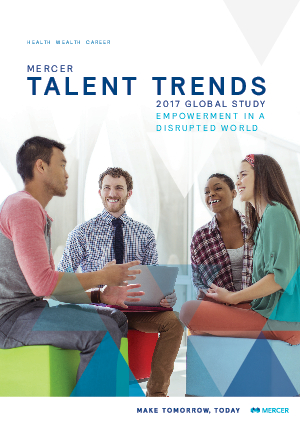 The critical trends that are reshaping the world of work are colliding with the changing demographic profile of the employees and shifting expectations of the work experience. Despite an uncertain future, there is optimism in the air. The events of 2016 and early 2017 have set a course of change that brings the promise of more equity and transparency and more accountable decision making. An overarching theme of Empowerment permeates how business leaders. HR professionals, and employees are viewing the world of work, both today and in the future.